Do you blog about children’s books on a regular basis? The Cybils are back and the call for judges is going on right now! You have until August 31, 2013 to apply. Book Apps!! Volunteer judges are needed for several different genre of children’s books, including iPad book apps — that’s why we want to reach out to the wonderful community here at Little eLit! Are you interested in book apps for children? Do you contribute to a blog on a regular basis or write your own blog? If so, you should definitely consider applying to be a Cybils judge. In order to be on the book apps committee, you’ll need access to an iPad with regular wi-fi access to download books. The nominated book apps are evaluated by a first round of 5-7 panelists from October through December. At the end of December, these panelists decide on the finalist books, the top 5-7 titles of the year. The second round of panelists then have to pick one winner from this short list. 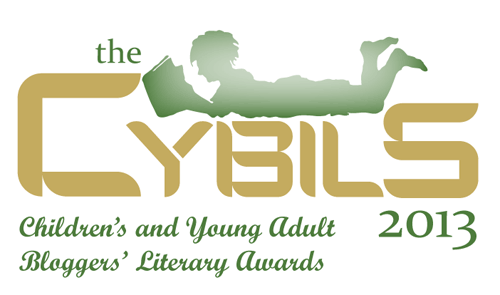 Being a Cybils judge is a wonderful opportunity to meet others interested in children’s books and to read some of the top books in the industry. Hope to see you there. Mary Ann Scheuer is the chair of the Cybils Book Apps committee. She’s presented at KidLitCon about book apps with Betsy Bird and Paula Willey in 2010 and helped launch the Cybils Book App award in 2011. Mary Ann is a school librarian at Emerson Elementary School, and she blogs at Great Kid Books. Posted on August 28, 2013, in Apps and tagged Cybils, Mary Ann Scheuer. Bookmark the permalink. 1 Comment.